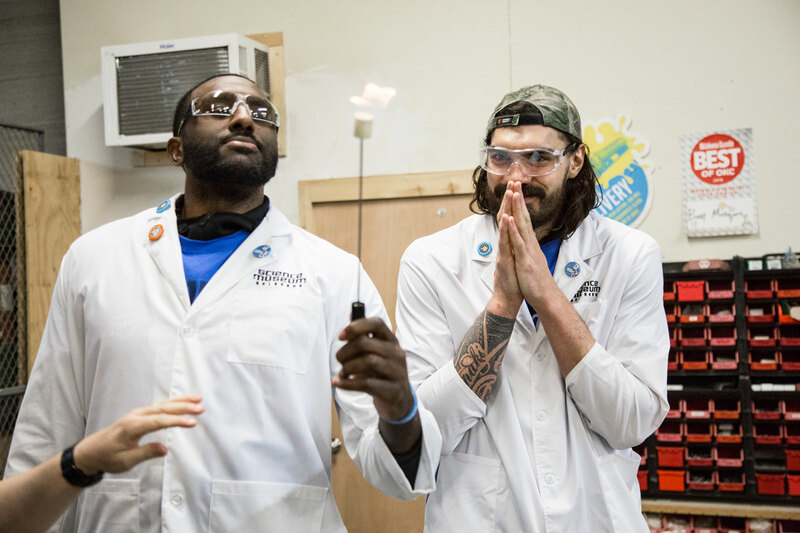 The moment was more thrilling than nerve-wracking for Clint Stone, laying on a bed of nails as a sledge hammer-wielding Steven Adams aimed for the cinder block on his chest. 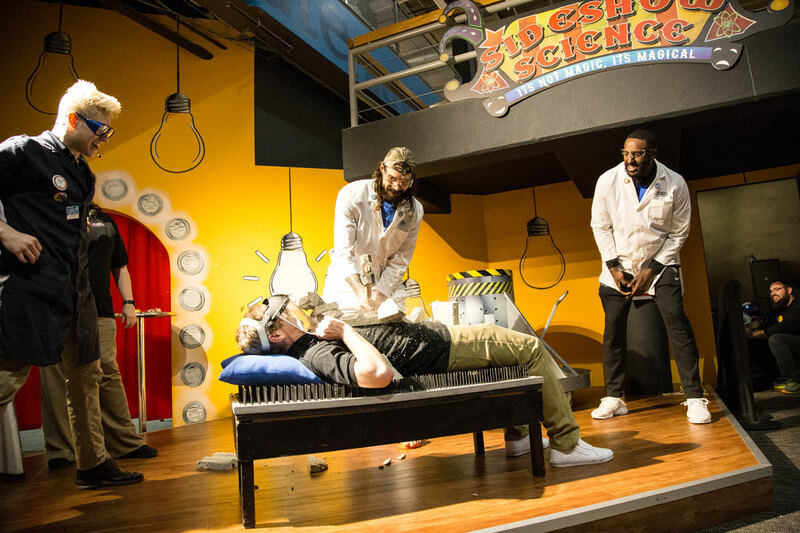 Knowing that “science was on his side,” Stone, vice president of programs for Science Museum Oklahoma, remained unfazed and unharmed after pieces of concrete crumbled haplessly to the floor in the wake of a Big Kiwi smash. 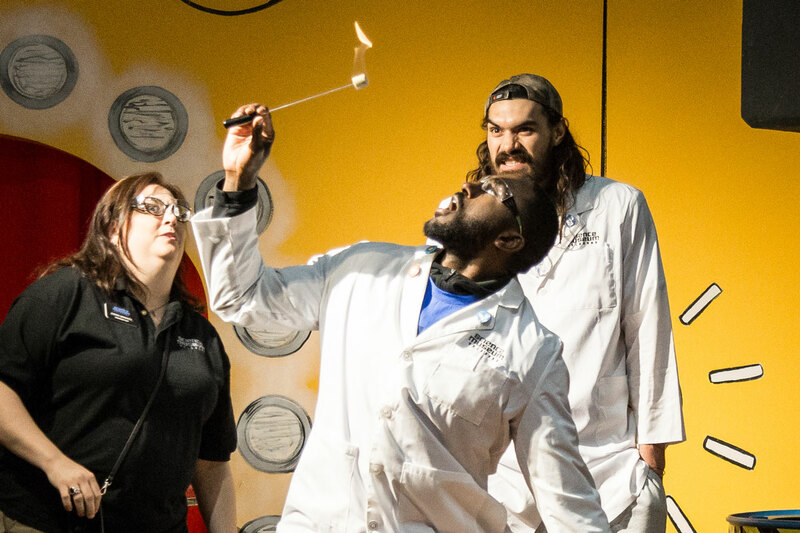 The physics demonstration was part of the behind-the-scenes fun when the front-court duo of Adams and Patrick Patterson donned their white lab coats and protective goggles at Science Museum Oklahoma on Tuesday afternoon. 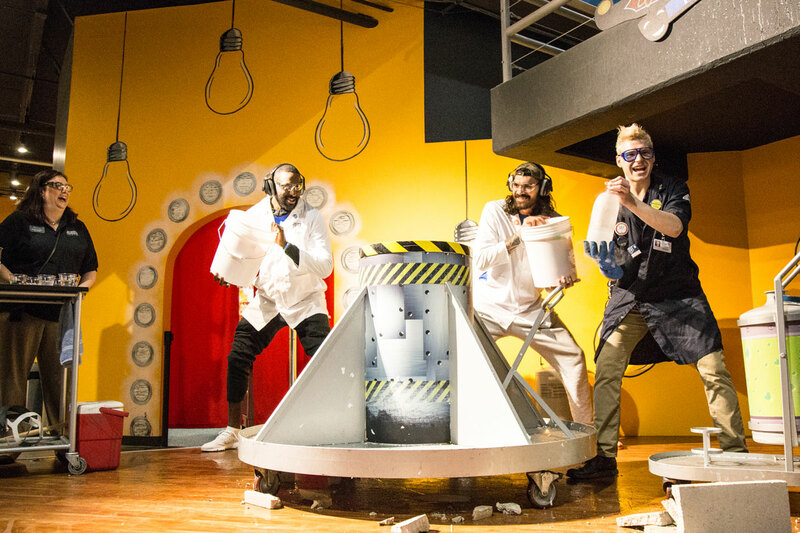 Contrary to Stone, Adams had cold feet for the cinder block stunt despite being the one holding the sledge hammer. He false started a couple times before delivering the blow. Meanwhile, the tong-twirling Patterson became a fire-eating magician once he discovered the inside of his mouth was an oxygen extinguisher for any incoming flaming objects. It gave Patterson something to show off to his family and friends. 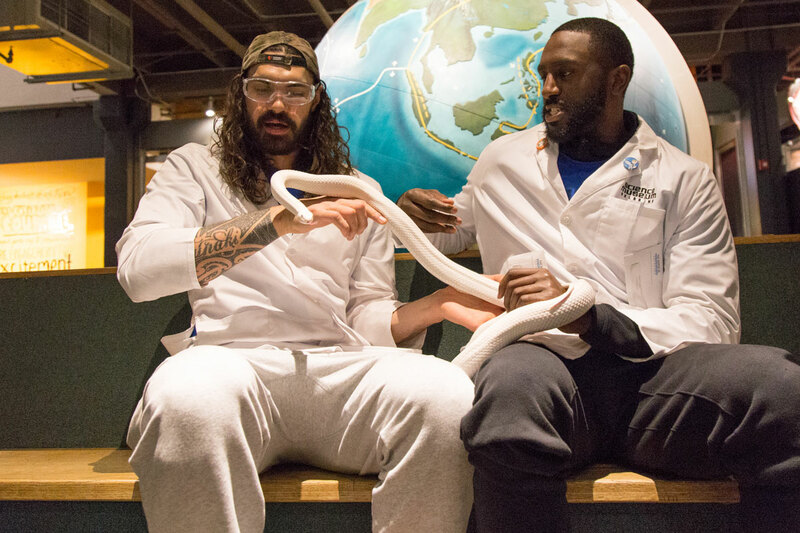 After a day filled with eye-popping experiments and crowd-pleasing performances, the enlightened Thunder teammates took some time to wind down with Tex—a milky white Texas Rat snake. Stone noticed Adams and Patterson handled the 5-foot long mild-mannered serpent with the care of cradling a newborn baby.